April 19, 2013 May 13, 2014 Joanna V.
Recently J and I discovered something kind of amazing, and I wanted to share it with you, gentle reader. 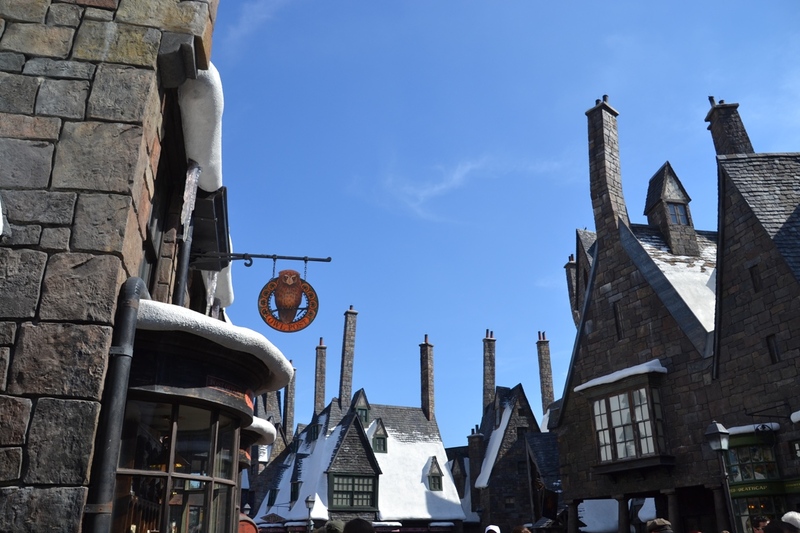 A few years ago, Hogsmeade opened for touring to the Muggle population, in an outreach effort and demonstration of goodwill to the non-magical community. Until recent times, the only place a wizard (or visiting Muggle) could purchase butterbeer was in Hogsmeade, which, as I’m sure you know, (after all, you’re reading this) is the only all-magical village in Britain. 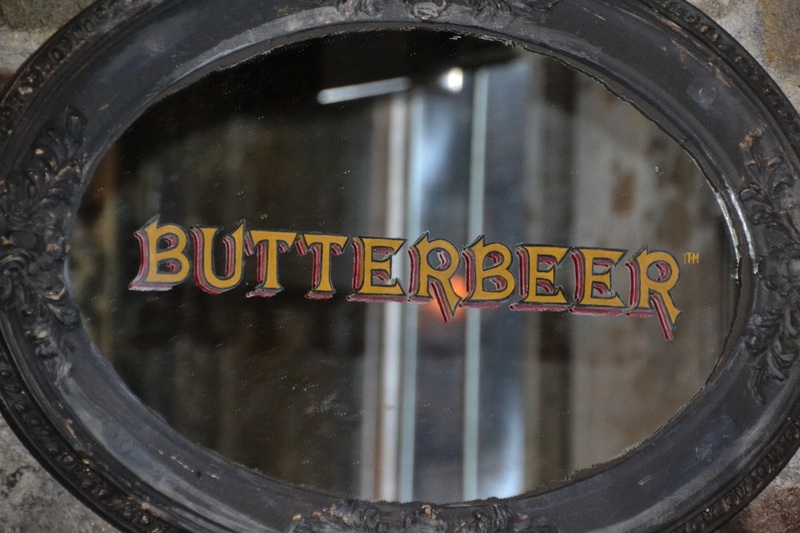 The ever-popular butterbeer drink has always been a favorite at the Three Broomsticks pub, and can also be found at the Hog’s Head nearby. 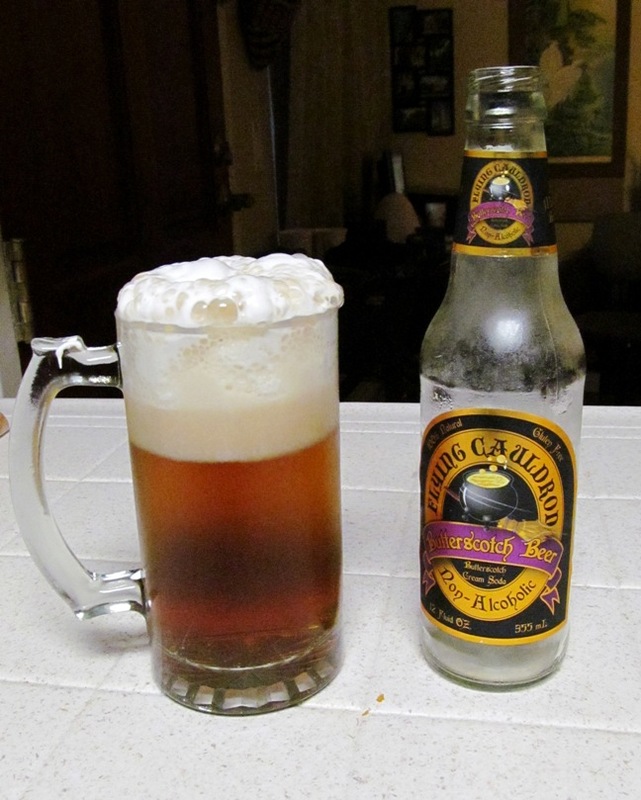 Muggles seem to like it both chilled (as a soda) and frozen, and the fluffy, magical topping is delightful. The only problem is that the drink is so very good and yet not available anywhere else, that after a visit one might have a sense of sadness that it might be years before the next pint, or that sharing with a friend might be impossible. While visiting a local soda shop that specializes in root beers, J and I stumbled upon this: Flying Cauldron Butterscotch Beer. Wizards and Muggles rejoice! The only thing missing was the marshmallow topping. Being resourceful, I pulled the jar of Fluff I keep in the pantry (you never know, right? ), and made my own! Put your Fluff into a mixing bowl and whisk it until it is smooth. Add the cream and keep mixing until they are combined. Finally fold the vanilla into your mixture. You should have a smooth, creamy bowl of goodness. Spoon 2 T of the mixture onto your drink and enjoy! Voilà! The real stuff, here at home. A little goes a long way with the topping. Too much and you’ll get overflow, as you can see from the above photo. It looks great in the pictures, but it makes the stuff REALLY hard to drink (I chugged quite a bit before it leveled out again). 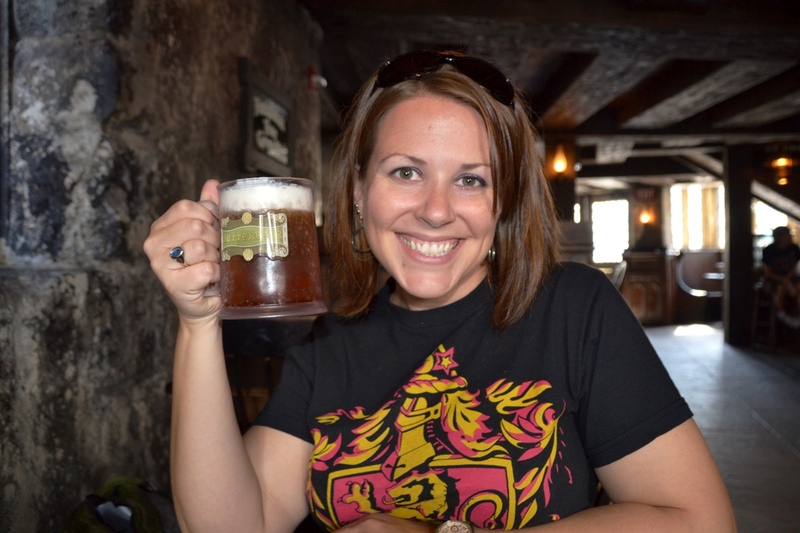 Two tablespoons per mug would give you about the same ratio as at the Three Broomsticks. 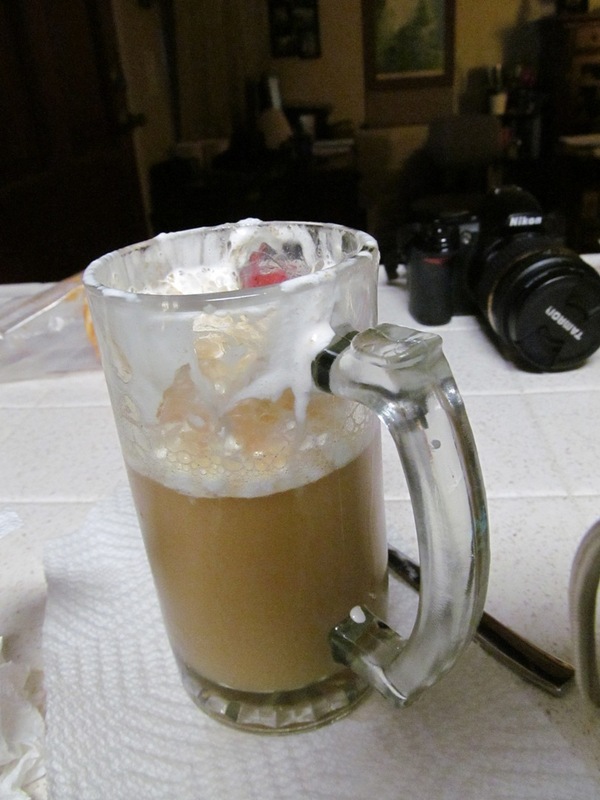 Stirring in the cream only makes your soda concoction expand at exponential speed. 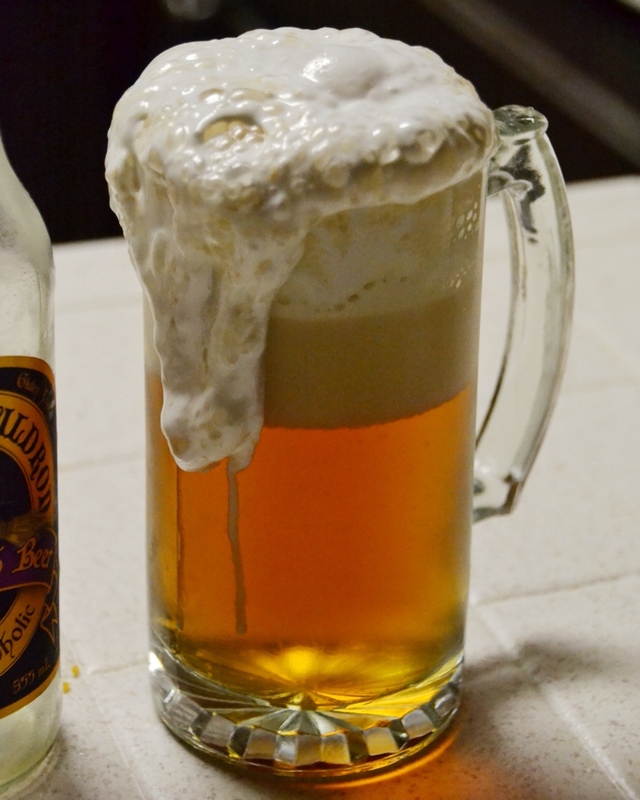 Be patient and drink the butterbeer through the marshmallow topping. Straws also cause the rapid-expansion. This drink is very, very filling. I couldn’t finish mine. I’d recommend it being a dessert and not before a meal. Of course, this is just my opinion, your mileage may vary. I found some recipes online that call for adding butter or rum extract to the topping, but having had the stuff at the Three Broomsticks, I’m not sure any of it is necessary. It might cut the sweetness, though, if you’re looking for not-so-sugary taste. YES! This looks so exciting!